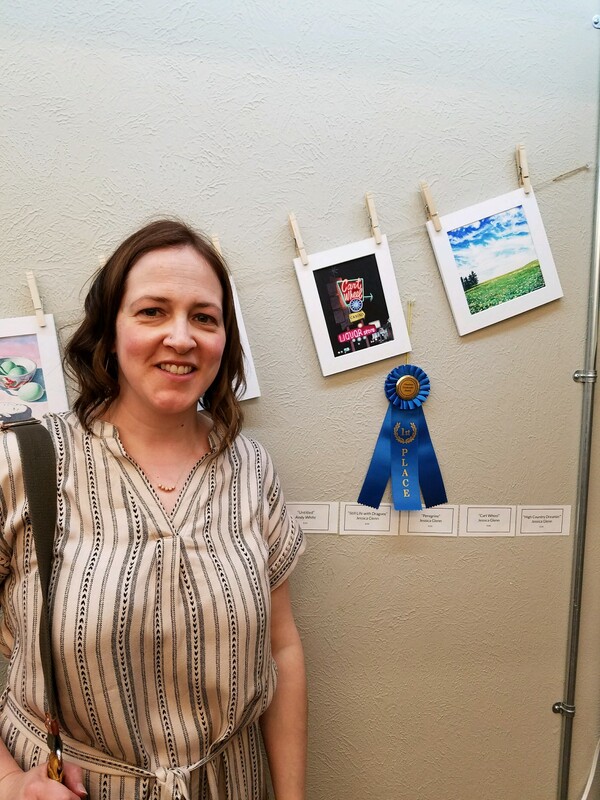 The 2018 Member’s Show is now hanging at the Lewistown Art Center and it is stunning, both in the quality of work and in numbers. Amazing job MTWS members! The LAC did a beautiful job displaying our work, and the reception was brimming with people! Mary B. and her crew are fun to work with and are full of innovative ideas! I see a bright future working with them. 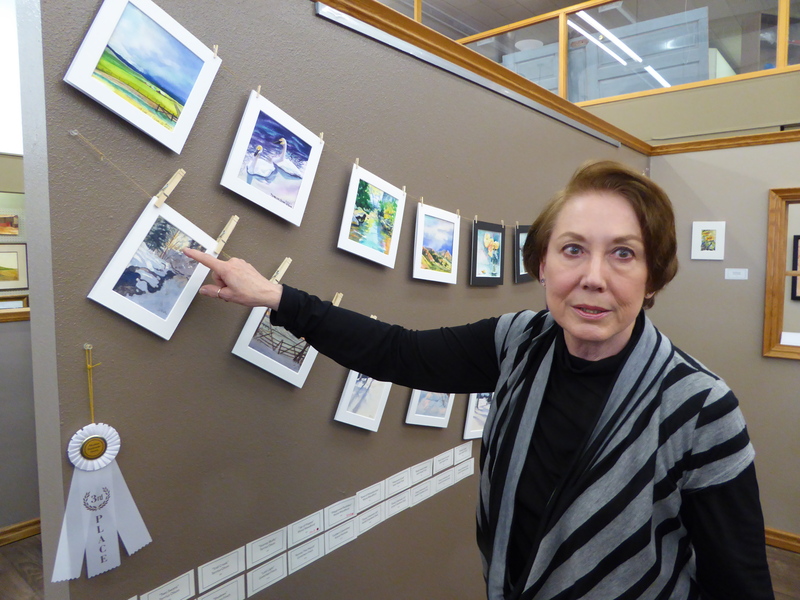 Carol Novotne was our instructor and juror for this year’s show and she had quite a task ahead of her as she walked in the doors of the LAC, facing 183 little works of art, submitted by 43 artists! She said she was “blown away” as she studied each little gem. The entire decision making process took over 2 hours. Carol was thrilled by the quality of our little treasures. She finally asked Mary of the LAC to please go find more ribbons! So this year we have three places and 6 Honorable Mentions! Carol did a wonderful job of jurying our show, and of instructing the workshop! She was so much fun and we all took away lots of information and more confidence to improve our work, not to mention a beautiful poster of some stunning roses! I’m so impressed by Carol’s instruction style and fun personality. I think I can say that a good time was had by all, and lasting friendships were built. What an amazing group of artists! Also I just thought I’d mention that there were 7 new workshop artists, that at least I’d never met before, and I was so pleased to meet them and see their art work. I hope they continue to come to our member workshop. So, now on to the winners! Our third place winner is last years workshop instructor Gretchen Finch with a beautiful winter scene. Wyna Woodford and a glass bowl full of juicy strawberries. “Night Hunter” by Tobie Liedes. We had 26-28 paintings sold the first night, totaling over $1000! I’d say this was a win! Congrats to all the winners and to all the ones with artwork sold! And I hope to see even more next year!